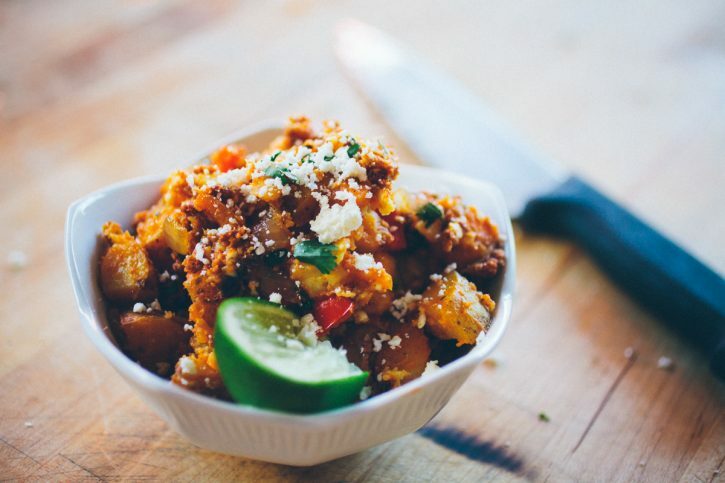 This is a solid potato side dish for a Tex-Mex or Latin inspired meal. It features longaniza, a sausage similar to chorizo. 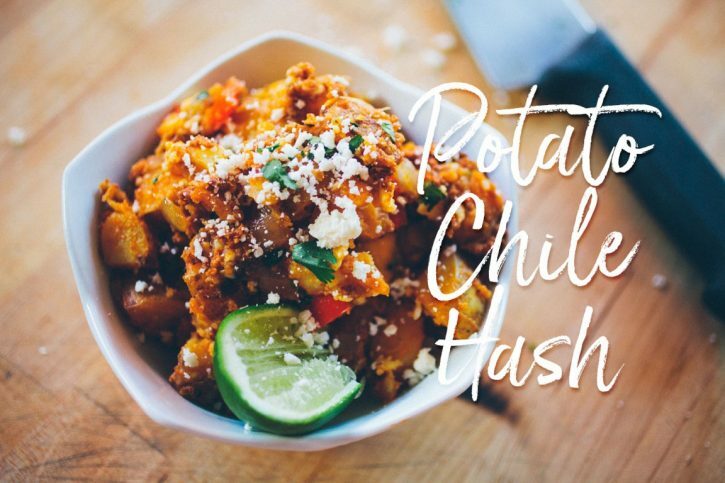 I know at our house, and here in the All Things Barbecue teaching kitchen, we’re often cooking Latin inspired foods, so who wouldn’t like another fantastic potato side dish to fit! Mmmm. That longaniza sausage… you can almost smell it through the screen! Check out one of your local Hispanic markets to find this gem. Our neighborhood carniceria carries longaniza, as well as a number of other foods you won’t find at the big box grocery stores. Do some experimenting to really expand your abilities and palate! After starting this hash on the stove top and adding the potatoes, it can be covered and transferred to the grill to cook the potatoes. Be sure you’re cooking with indirect heat, to prevent scorching on the bottom. When it all comes together, it’s just a matter of adjusting seasonings and aromatics. The cotija cheese is salty and funky. It acts not just as an ingredient, but as a seasoning! Some lime juice and fresh cilantro round it all out! 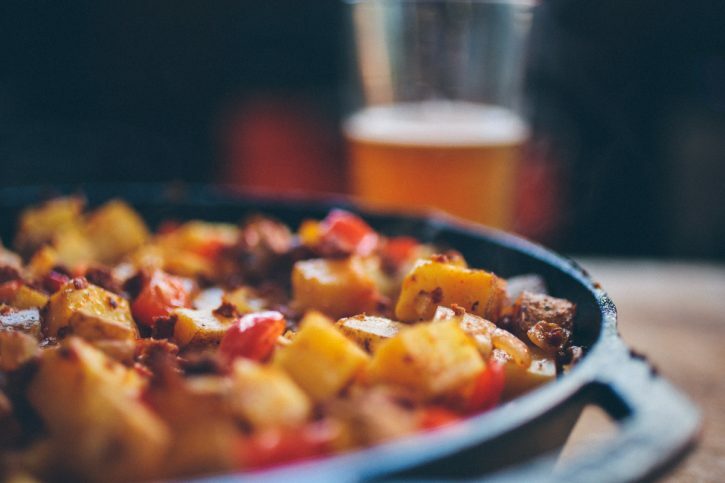 Place a Lodge 12” cast iron skillet on the grill to preheat. 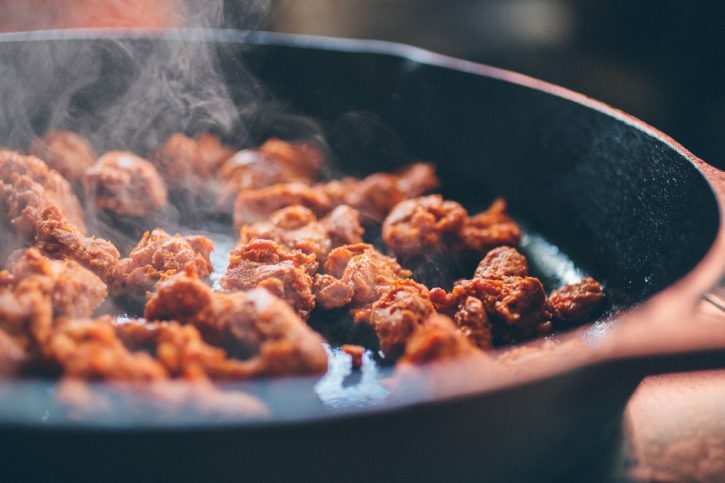 Remove the longaniza sausage from its casing and place in the hot skillet. Also add the onion and bell pepper. Season with a couple of tablespoons of Code 3 Spiced Grunt Rub. Cook until the sausage is browned. Add the diced potatoes. Cover with a lid, and cook until the potatoes are nearly cooked through. 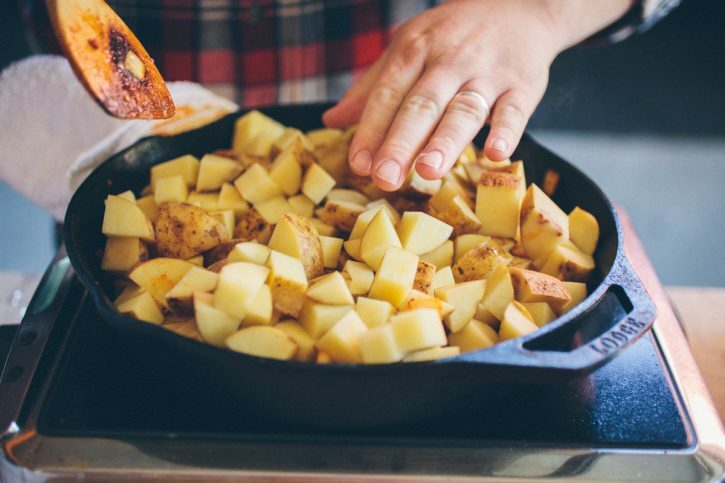 Uncover the skillet and continue cooking until the potatoes are tender, and the top of the potatoes are slightly browned. Remove from the grill. 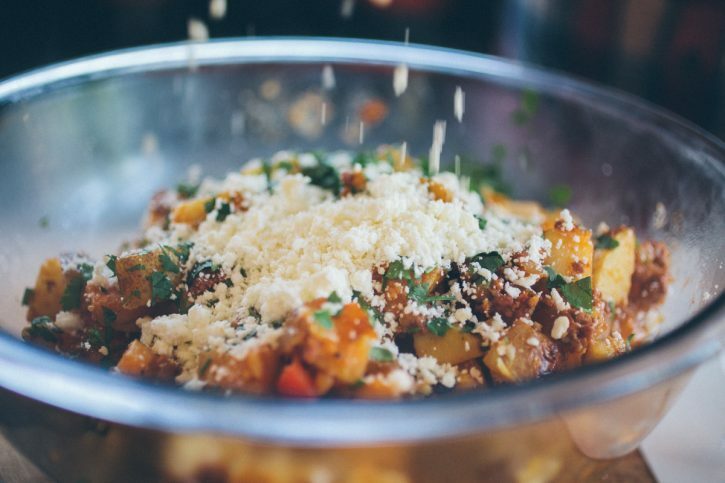 Mix in the cotija cheese and cilantro. Taste and add Noble Saltworks Cherry Wood Smoked Salt, as needed.